We’ve shared with you the BEST of Polo action, the HOTTEST players and COOLEST collector cars. 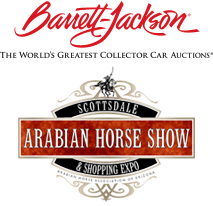 We’ve told you about the million-dollar Larsen Art Auction, the one-of-a-kind Canine Couture Runway Show and World’s Longest Catwalk by Phoenix Fashion Week, all part of the 5th Annual Bentley Scottsdale Polo Championships: Horses & Horsepower at WestWorld on October 24th. Not yet convinced that this will be the BEST, not-to-be-missed party this fall? Heineken and Chandon Champagne return this year for unforgettable party tents with Wasted Grain, plus we’ve partnered with Triyar Entertainment, the minds behind Scottsdale’s hottest venues Maya Day + Nightclub, Shade Lounge at The W, Dakota and The District, as our Pop N’ Pour sponsor to create an atmosphere unlike any other polo event in the country! Check out our round-up of BEST PARTY PICS from last year’s Bentley Scottsdale Polo Championships. Warning: The following images may induce extreme POLO FOMO (Fear Of Missing Out). Avoid anxiety by purchasing your own party passes or tables at www.ThePoloParty.com. From individual tickets to VIP tables for 10, sideline parking and party buses, The Polo Party is perfect for groups big and small! Molina Fine Jewelers returns to host the Drivers & Players VIP Lounge, the only VIP tent where you can meet professional drivers and polo players! Tent passes include complimentary food, cocktails, and some of the best views of the matches! Drink champs while watching polo champs! Enjoy DJs, drinks and dancing in the Heineken Party Pavilion: Presented by Wasted Grain – tent access included with all Polo ticket purchases. …or an outing with girlfriends! These party animals give polo ponies a run for their money. So grab your friends and get ready to let loose! Even the Polo Players & Ponies don’t want to miss this party action! 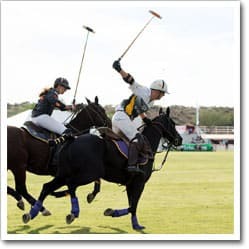 Hope to see you at the country’s greatest Polo Party, the Bentley Scottsdale Polo Championships Saturday, October 24 at WestWorld! Tickets, tables and VIP Tent packages are available at www.ThePoloParty.com!